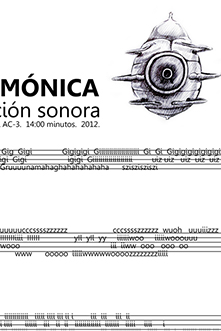 The Harmonic Cicada is a soundscape that shows the transformation of the natural territory in the Coffee Cultural Landscape area (some Risaralda and Quindío municipalities) from the sonorous intervention of the artist when simulating with his voice the sounds produced by the cicadas with their abdomen and wings (insects from the Cicadidae family). The interaction between the answer of the actual cicadas and of the local fauna to the author’s sounds, appoints to the passage of the topographic territory to the symbolic one from the audible language, providing a new interpretation which ascribes inherent characteristics of the animal evolution to the mutual experience. Through the sound connotations of the death and life states associated to the different audible manifestations of the insect during its displacement, rooting, metamorphosis and habitat, the soundscape proposes to register the audience bodies with the characteristic realities of the landscape that are built through the sound language. From a poetic dimension the relationship between the fauna and the human being questions the reality of the physical territory creating a representative and immersing world with the use of language.